Sean Guillory reviews two books about contemporary Russia: "Putin Country: A Journey Into the Real Russia" by Anne Garrels and "Nothing is True Everything is Possible: The Surreal Heart of the New Russia" by Peter Pomerantsev. Capturing the “real” Russia has always been a vexing problem. Russia’s vast topography, ethnic mosaic, cultural array, and confessional alloy make the effort moot to a large extent. 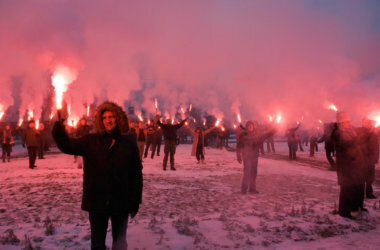 To represent the “real” Russia is to dive into the foolhardy task of defining Russia itself. This is not to say that many haven’t tried. Since the 15th century, travelers have endeavored to define Russia for their domestic audience, producing a rich ethnography that often emphasized barbarity over the prosaic. For many travelers, Russia appears as somewhere in-between, a European country – but not quite. 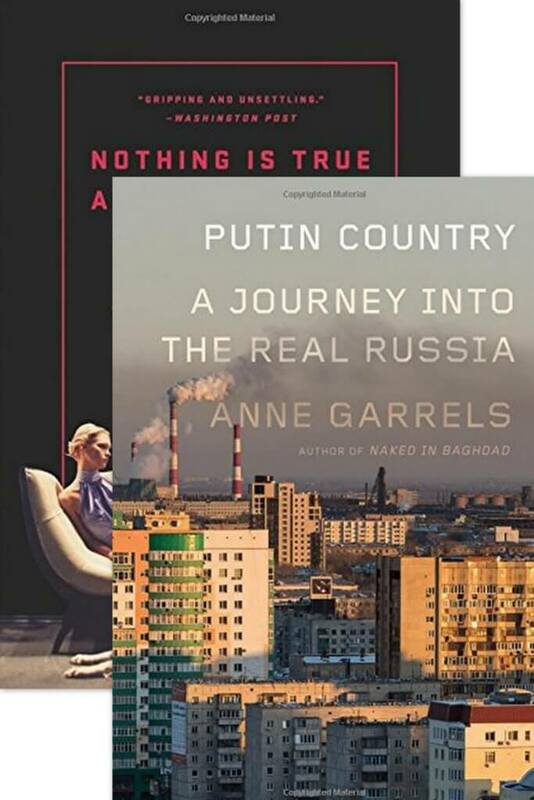 Two recent books, Anne Garrels’ Putin Country: A Journey Into the Real Russia and Peter Pomerantsev’s Nothing is True Everything is Possible: The Surreal Heart of the New Russia, both, in their own way, seek to capture the “real” Russia. Garrels wants to understand Russians’ relations to Putin and Putinism from the ground up. She paints portraits of real Russians dealing with real problems. Pomerantsev shuns digging too deep since to him, Putin’s Russia is akin to a surrealist painting where pulling back the curtain only reveals more curtains. His subjects are actors in a big reality show. Though prospecting for the “real” Russia often turns up pyrite, Garrels and Pomerantsev are nonetheless describing a tumultuous period in Russian history, and despite their different vantage points, much can be gleamed from their narratives. When dissected together their innards reveal unintended theses on the post-Soviet. The question is not what is the “real” and at the “heart” of this new Russia. But rather how in the context of postmodernity, the new post-Soviet person is a shattered identity endlessly searching for a new master narrative. Yet though a tale of Russia beyond Moscow, Putin Country never really gets beyond it. After all, the title is Putin Country —and Putin often functions as the Master Signifier—, not Chelyabinsk Country. Moscow provides the overarching political framework even for the daily life of residents 1800 km away. And here is one of the fundamental problems with the tropic of the “real”—the textual slippage to the center elides the specificity of the periphery. Thus, the reader is left wondering: How significantly different would Garrels’ narrative be if her pencil landed anywhere else on that huge map? Peter Pomerantsev, in contrast, comes from Russian dissident-émigré stock. The son of the poet and journalist Igor Pomerantsev, who with his wife and newborn Peter left the Soviet Union in 1978. Pomerantsev the son works in “factual television.” In 2006 he took his skills to Moscow to work for TNT, the hip entertainment Russian TV station basking in the golden days of Putinism. Pomerantsev is sensitive to his liminality vis-à-vis his birth country. Though fluent in “demotic émigré Russian,” he’s still an “observer looking in ”seeking a closer look. And even despite his Russian lineage he’s not Piotr to his Russian interlocutors but Peter or Piiitrrr. Added to this is the allure of the exotic. 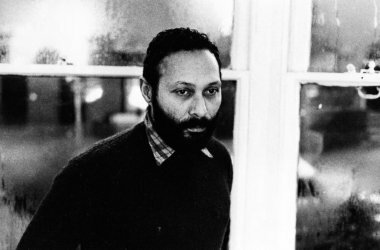 To him, London was “so measured” and “so predictable,” and where his émigré family life was “so content.” In contrast, “real Russians seemed truly alive” and Russia gave the sense that “anything was possible.” And true enough in the mid-2000s, it seemed that anything was possible for Piiitrrr as “the magic words ‘I am from London’” worked like “open sesame.” In those heady days, Western Man could still pry open Asiatic vaults by virtue of his civilization. This last point is important as exoticism colors Pomerantsev’s text throughout. Though his beat is mostly a Moscow world filled with wannabe celebrities, these flamboyant and tragic characters stand for the heart of the “new” Russia. Pomerantsev’s journey leads him into the heart of darkness filled with gangsters and gold diggers, making, despite scattered keen insights, Nothing is True and Everything is Possible read like an ethnography in the spirit of travelers to Russia since the 15th century. In the end, the exotic rules the day. Even death can only be narrated through melodrama. Nevertheless, the backdrop for both Garrels and Pomerantsev is a Russia in tremendous flux. The collapse of the Soviet Union sent shockwaves across the Eurasian political, cultural and economic landscape. Its reverberations are still felt 25 years later. The 1990s were another Russian “time of troubles.” The economy collapsed, inflation skyrocketed, mortality increased, social services vanished, unemployment surged, lawlessness became rampant, among other societal shocks. For the Soviet postwar generation this hardship was experienced as a time warp.” When Putin stated in 2005 that “The collapse of the Soviet Union was the biggest geopolitical catastrophe of the century,” many Russians agreed and continue to do so. Perhaps one of the underappreciated aspects of the collapse of the Soviet Union and the rise of the “new” Russia was its impact on identity. Not only did the Soviet economic and political system vanish, but so did the ethnical foundation of Soviet society. The dualistic public-private self that was a mainstay of late socialism was shattered into many little bits. And many of those bits now lacked narratives. Indeed, the Russian subject was a fragmented pile in the middle of two extremes: the retrograde homo sovieticus and the “new Russian” in becoming. Garrels demonstrates this passage by pointing to linguistic amalgamation of new foreign words into the Russian lexicon: “biznes lanch,” “taoon haoozes,” and “kottedges.” These are not the mere adoption of foreign words but signifiers of new identities. In many respects, both Putin Country and Nothing is True and Everything is Possible are chronicles of the shattering and reconstitution of subjectivity. After 1991, you were now a nobody, disoriented, or both. “The Soviet Union had disappeared,” Pomerantsev writes. “Everyone who had previously been someone was suddenly a nobody.” Or as Garrels quotes Tatiana about her son Kolya: “All the values I had grown up with . . .were suddenly condemned . . . I was confused as he was.” The characters that fill the pages of both texts are attempts to discover and then perform new senses of self. At the heart of the real Russia is a subject undergoing perpetual conversion. There’s an intimate connection between revolution and conversion. Scholars have pointed out that the passage from one system to another is accompanied by a similar passage of the self. The French and Russian revolutions birthed new lexicons, mannerisms, dress, symbols, and identities. Both revolutions were intent on creating new people. Maximillian Robespierre professed the Republic of Virtue as a template for a secular, civically virtuous post-revolutionary self. In the Soviet Union, the New Soviet Person was the human archetype for the future communist age. The collapse of the Soviet Union declared no such project. In fact, it’s telling how 1991 is referred to as a “collapse” rather than a “revolution.” Post-Soviet time refers backward, not forward. It’s an odd orientation for a period where so many aspects of the Soviet system are vilified. Sure some Russians gravitated to liberalism, but even as Garrels’ characters repeatedly symbolize, Russia’s new liberals are mostly an embattled underground clique, especially in a provincial city like Chelyabinsk. With the Soviet self an anathema—slandered in the figure of the sovok—Russians were mostly left to their own devices when confronted with the many selves postmodernism had to offer. It’s no wonder that soothsayers, millenarians, messiahs, and cults sprung up in the 1990s and early 2000s. Many Russians were ripe for conversion. And many Russians did convert. Western proselytizers took advantage of this too as formerly suppressed sects—Protestantism, Jehovah Witness, Mormonism, and Seventh Day Adventism—quickly found new adherents. But there were other transformative opportunities for remaking the self as well. Both Garrels and Pomerantsev catalog not only the cults, but a litany of individuals crossing thresholds—provincial girls into international models, komsomols into oligarchs, housewives into businesswomen, gangsters into auteurs, heterosexuals into homosexuals, government officials into dystopian authors. Postmodernity obliged with an endless stream of consumables: cars, fashion, Mercedes, workout routines, dance clubs, drugs, gangsta rap, and television glitz. What then is the “real” at the heart of the new Russia? There’s a certain attraction to Pomerantsev’s notion of Russia as a big reality show. Many reality shows are narratives of self-transformation. But it’s simplistic to lay this concept at the feet of Putinism. The “real” was obliterated a long time ago, and living in the simulacra of the performative has been a staple of late capitalist societies for decades. What makes Russia distinct is that with the USSR’s collapse the floodgates burst forth to drown a shattered society. This begs the question of what to do with Putin. Garrels’ book is about Putin country, after all. It’s worth noting that for her interlocutors, Putin represents “stability.” Here, stability can be read as more than just economic, but in the figure of Putin a new metanarrative. It’s telling that over the last five years Putin has increasingly concentrated on Russia’s great power status, nationhood, Russian identity, history, and other remedies for fragmented national souls. In this sense, perhaps Garrels and Pomerantsev are not so much pointing to a Russia that is, but one that was as we witness the twilight of the shattered post-Soviet man and the dawn of a consolidated Russian one. The Russian language version of this review was first published in Kontrapunkt.